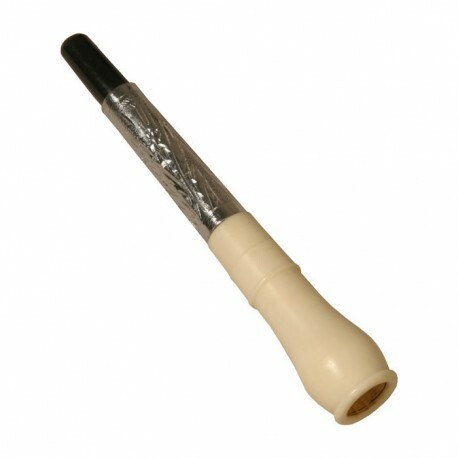 Bagpipe Mouth Piece, Deluxe. 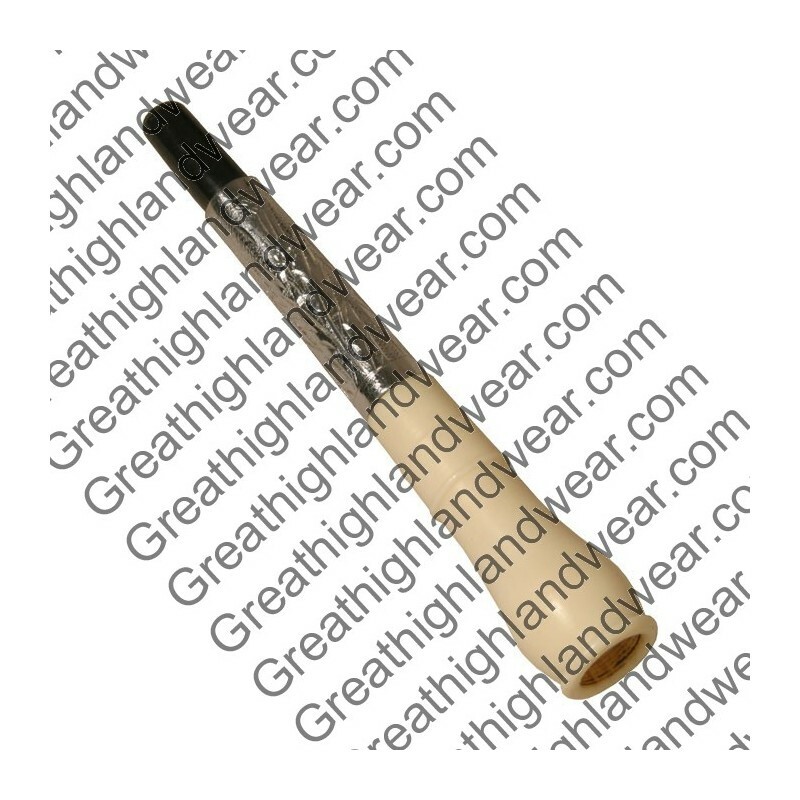 White synthetic replacement mouthpiece, with etched metal for bagpipes. 6 inches in length.